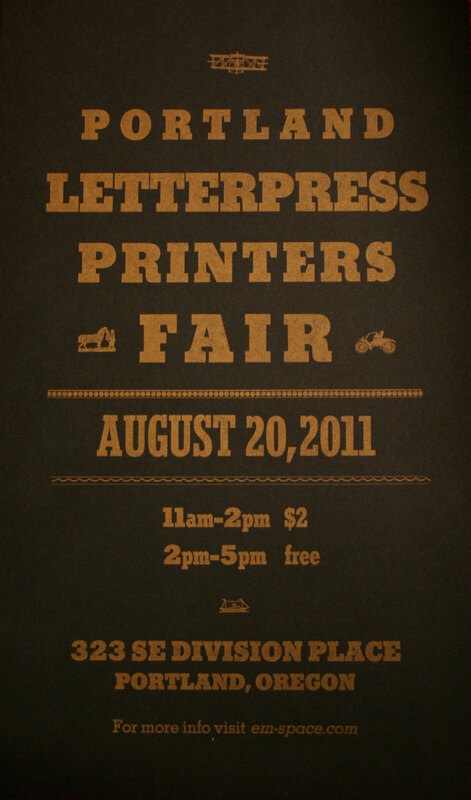 Visit our booth on Saturday, Aug. 20 at the Letterpress Printers Fair (11am-5pm). This is the 4th Annual Fair and there will be many cool vendors of letterpress equipment and type, artist books, broadsides, printed matter and other ephemera. Stop by! More info here.